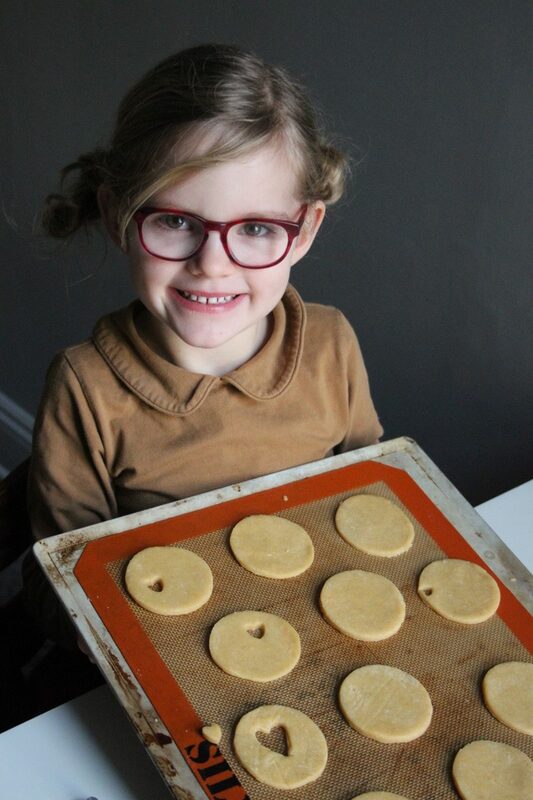 Valentine’s Cookies –Jammy Dodgers with Lovehearts! 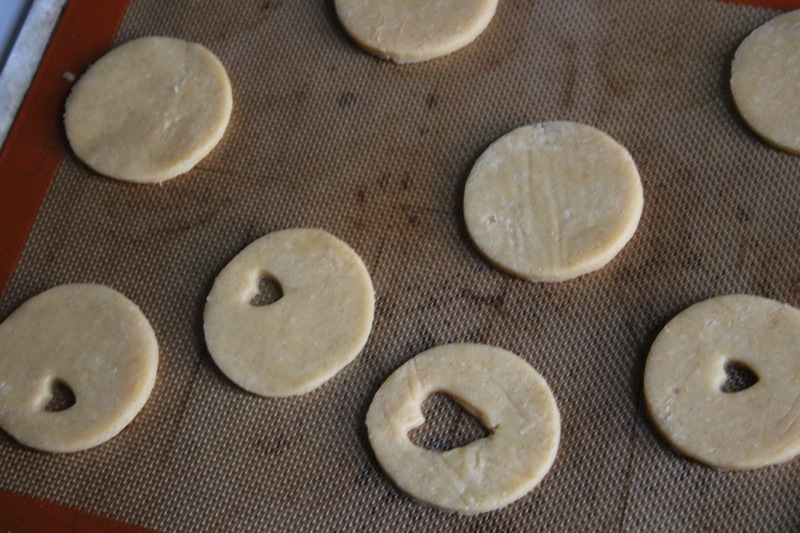 Do you know what Jammy Dodgers are? Well I didn’t until I moved to the UK, and they are too cute not to share. You can buy them in packages, but I loved the ideas of homemade ones. 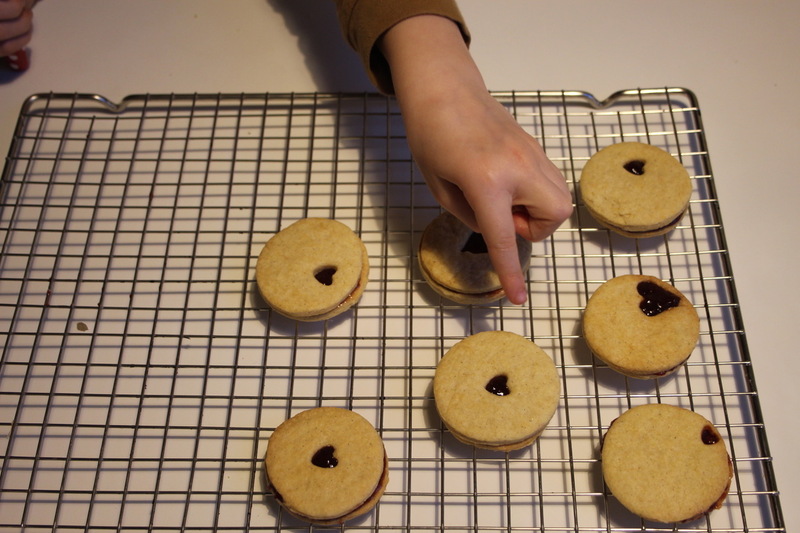 Basically they are a jam cookie sandwich, with a jewel like centre and a vanilla or shortbread cookie base. 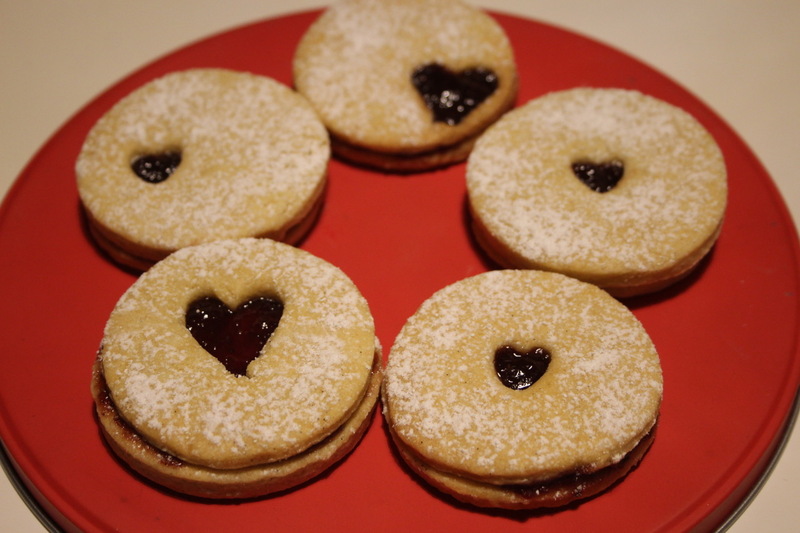 They are oh-so British, (Jammy is a slang word for “lucky” in the UK) and when made with a little heart in the middle, they are perfect for Valentine’s Day! 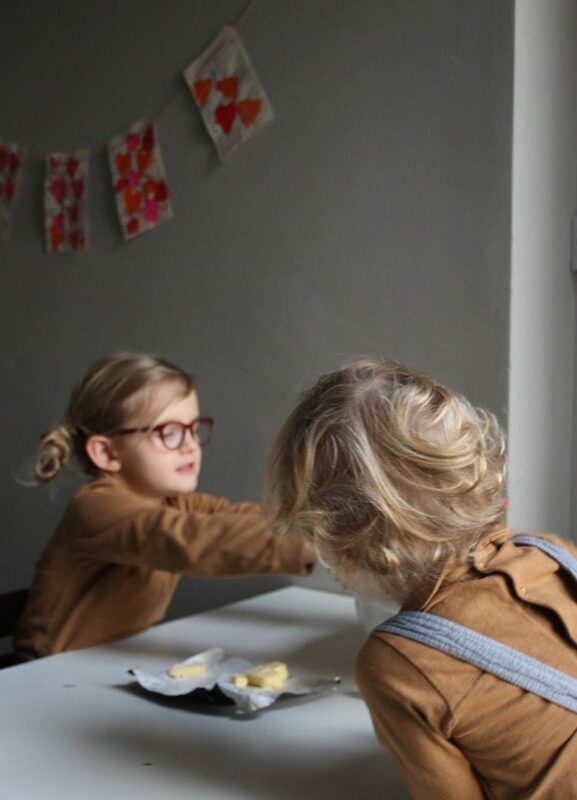 We made ours a day in advance, and plan to enjoy them today with friends after school. 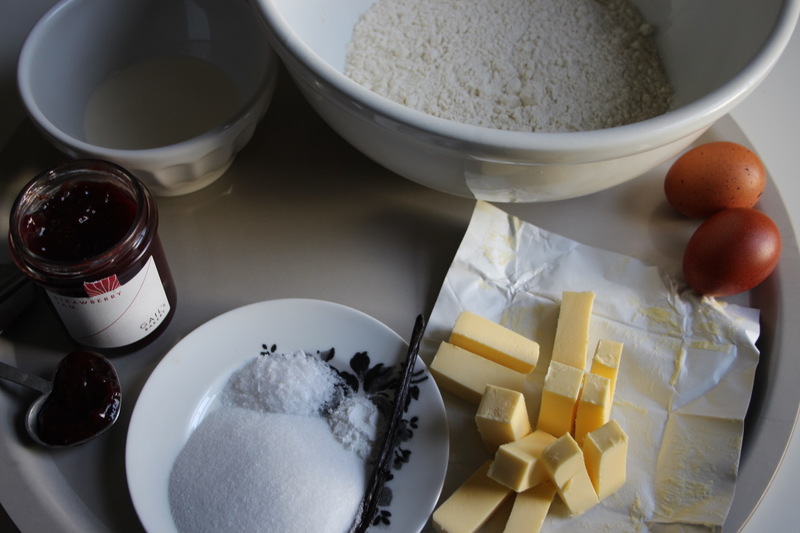 You can use your favourite vanilla/sugar/shortbread recipe, or try this one here. Just bake them until they are nearly cooked, let them cool, apply the jam, and then bake for another 5 minutes so the jam really sticks and keeps the sandwich together! 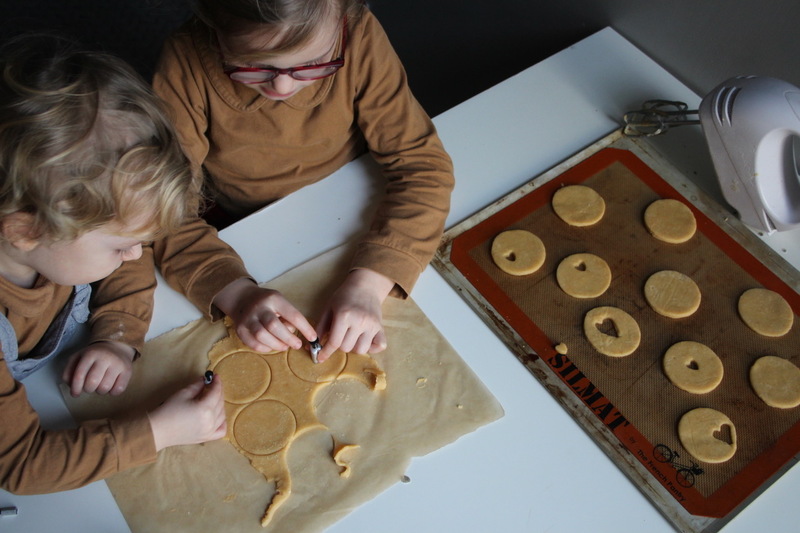 Luckily we had some very small heart cookie cutters, and the kids loved making them. 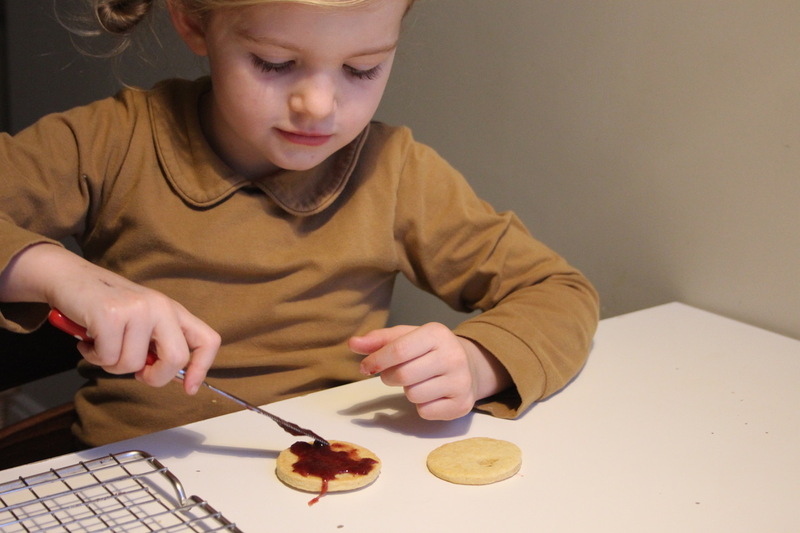 Our jammy dodgers have strawberry jam, after all, it is the perfect shade of red for Valentines. And a little sprinkle of icing sugar (confectioners sugar) is the perfect topping. Hopefully you can adopt this as a new Valentine’s cookie, and if you really want to be British, serve it with a cup of tea too! ps Other fun Valentine things that show a little love are these simple potato print buntings, an easy last-minute idea!